“An immigrant’s life, and the violence that drives us to leave . . . no one can understand who hasn’t lived it,” says Milagro Flores. * We’re standing in the narrow stairwell of Annunciation House, a shelter for undocumented immigrants where Milagro lives with her four children. Milagro’s eyes are sharp black and when she laughs, which is often, her capped teeth flash silver, giving her the look of a woman who has lived hard and is a youthful trickster. A brightly painted mural of Guadalupe — a good luck icon for migrants — watches over us from the landing. 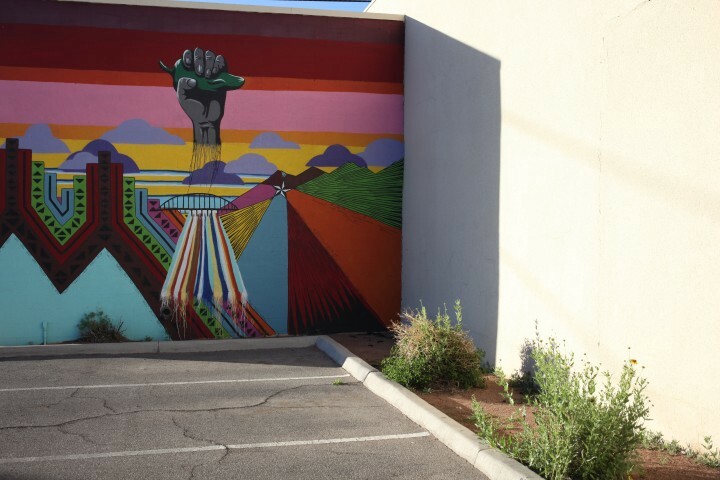 For undocumented immigrants like Milagro, even this small token of good luck comforts, as they wait in limbo for the notoriously prohibitive immigration courts of El Paso to decide their fate. There are wide disparities when it comes to who is granted asylum in America. An asylum seeker’s country of origin plays a huge role. Since 1980, the U.S. has accepted only 3% of applications for political asylum by Salvadorans, as opposed to 76% from the Soviet Union. Another major disparity is based on legal representation. 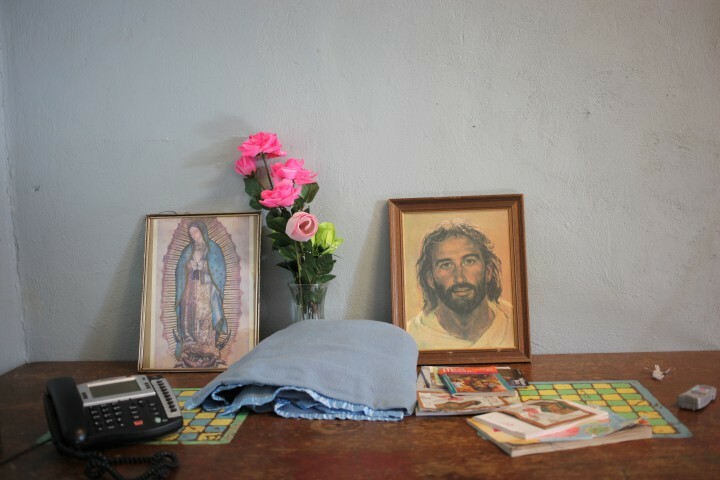 A sign of comfort for undocumented immigrants in the Annunciation House shelter. Asylum seekers do not have guaranteed rights to an attorney (ironically, if their cases fell under criminal law, this right would be guaranteed), yet legal counsel is a crucial element to the success of a case. An asylum seeker who has a lawyer is four to six times more likely to be granted asylum than one who is not represented, according to a study by the Georgetown University Law Center, but legal representation continues to be prohibitively expensive and difficult to access. A recent study by Transactional Records Access Clearinghouse (TRAC) — a non-partisan source of information on federal law enforcement — found that women with children were granted asylum 32% of the time if they had legal representation. Without a lawyer, their chances dropped sixteen-fold to 2%. The most glaring disparities in outcomes, however, are based on the location of the courts and individual judges. El Paso is the most prohibitive on both counts. 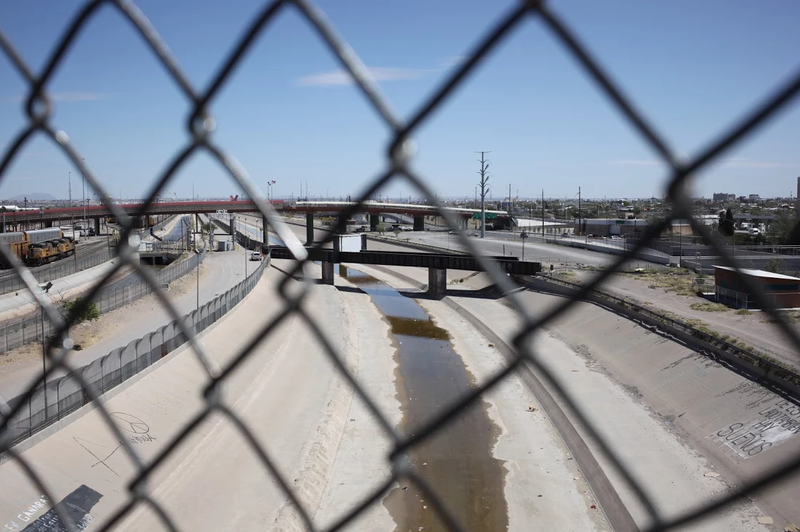 According to the Institute for Justice and Journalism, over the past five years asylum seekers won 79% of their cases in New York, but in El Paso, immigration judges granted asylum only 5% of the time. Of the three judges in El Paso, all appointed by the U.S. Attorney General, Judge Thomas Roepke is the harshest. Judge Roepke has granted asylum to just 1% of applicants over the last six years. This means that out of almost 200 cases, he’s granted asylum to exactly two people. According to TRAC, nationally during this same time period immigration court judges denied 48.5% of asylum claims, compared to Judge Roepke’s denial rate of 99%. These denial rates make El Paso one of the most restrictive counties in the country on immigration and asylum. “What I think the data shows — and it is very clear and strong data — is that the nation of the United States has assigned immigration judges to El Paso who are unsympathetic to immigrants,” says Josiah Heyman, director of the Center for Inter-American and Border Studies at University of Texas, El Paso. A sign on the wall of Annunciation House. A view of the dried up Rio Grande from the border bridge. For people fleeing extreme violence in their home countries, this could be a death sentence. Milagro is seeking asylum from the rampant violence in her home country of El Salvador. In 2015, the year Milagro fled with her children, El Salvador was rated the world’s most deadly country outside of a war zone. The country is de facto controlled by two warring gangs, MS-13 and Barrio 18. One Salvadoran is murdered every 60 minutes and in 2015 there were 104 homicides per 100,000 inhabitants — a murder toll of 6,657. 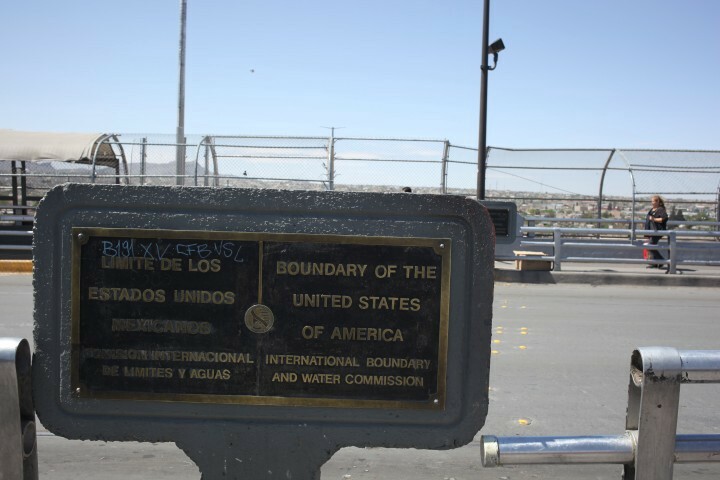 Official border sign at the Santa Fe international border bridge that connects the U.S. to Mexico. This is one of three major bridges where migrants can cross in order to claim asylum at the border. 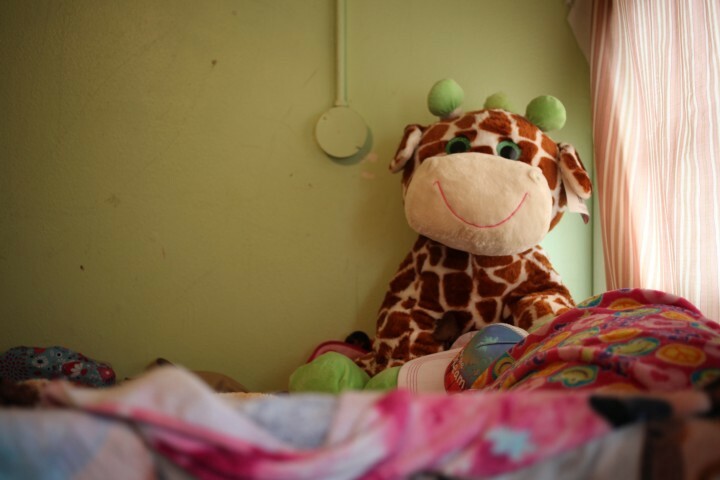 Milagro’s daughter’s bed in the shelter. 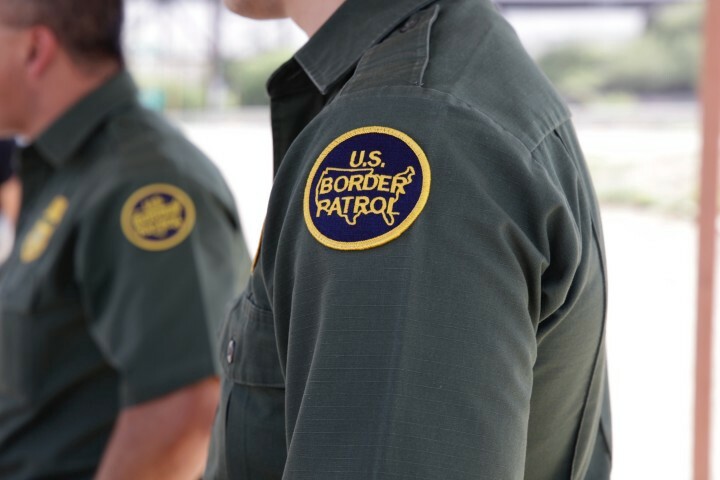 Like Milagro, many immigrants arrive at the El Paso point of entry and present themselves to Border Patrol officers stating that they fear for their lives. This process initiates asylum proceedings with the courts, but does not spare the immigrants from detention in notoriously prison-like conditions. Milagro and her children were lucky. They were only detained briefly before being released to the Annunciation House shelter, where I met her. 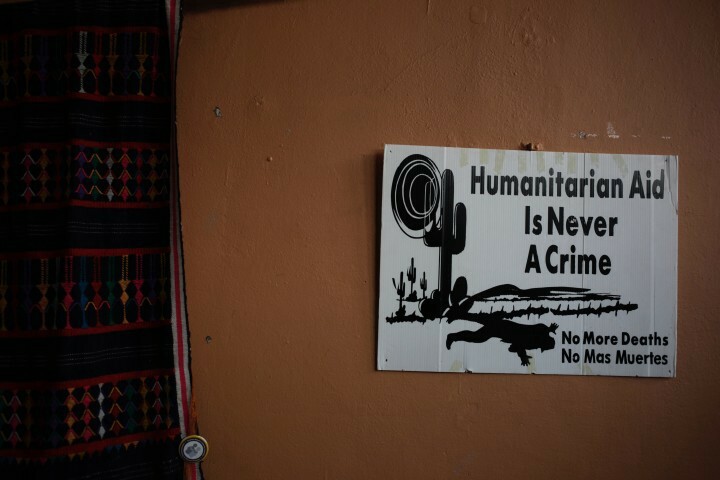 International law states that asylum seekers should only be detained under unusual circumstances. Despite this, U.S. detention centers are overflowing. According to federal law, Immigration and Customs Enforcement (ICE) — which runs the detention centers under the aegis of the Department of Homeland Security — can only detain families for a maximum of 20 days. However, countless stories reveal ICE’s rampant abuse of the law. At the time of writing this article in early September, asylum-seeking women who are being held with their children at the Berks County Residential Center outside of Philadelphia were on a hunger strike. They have already been detained for between six months and a year. They are currently detained indefinitely. Two Border Patrol officers speaking at a public relations presentation next to the border fence in El Paso. The Asylum Reform and Border Protection Act (H.R. 1153), a federal bill that would further restrict the ability of people like Milagro to seek asylum in the U.S., will be up for a vote by Congress in the coming year. It has already been approved by the House of Representatives. 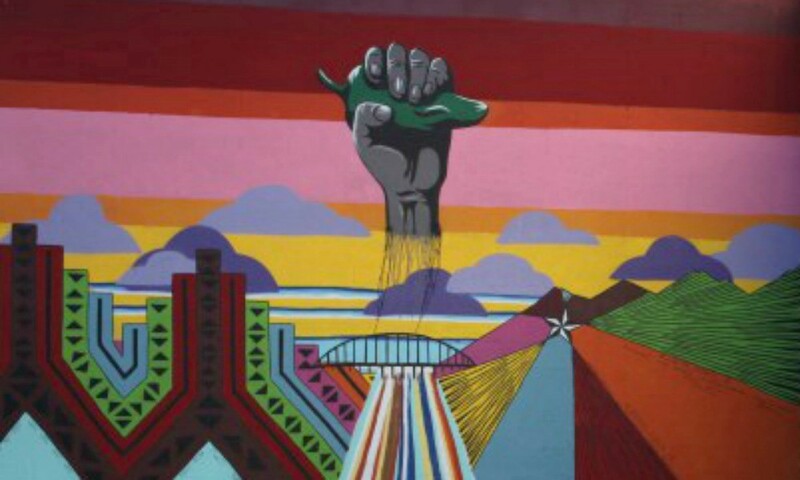 A mural in downtown El Paso depicting the Rio Grande and an international border bridge that connects the U.S. and Mexico. Milagro is an optimist, however — she believes that the violence she has fled will make the case for her.